리처드 코벳(Richard Corbett)은 현재 옥스팜 GB(영국지부)의 인도주의사업 총 책임자로서, 전 세계 긴급구호 현장의 옥스팜 대응 활동을 총괄하고 관리하는 역할을 하고있다. 총 책임자로 근무하기 이전 옥스팜 아프가니스탄, 시에라리온, 수단, DR콩고 등 현장에서 긴급구호 대응 활동을 이끌어 왔다. Healthwatch Bucks의 대표(2014~2016)와 Reading Voluntary Action의 국장(2010~2014)을 역임했다. 2006년부터 2010년까지 옥스팜 GB(영국지부)의 전략 프로젝트 매니저로 활동했으며, 2003년부터 2006년까지는 GAP Activity Projects의 운영 국장으로 활동한 바 있다. 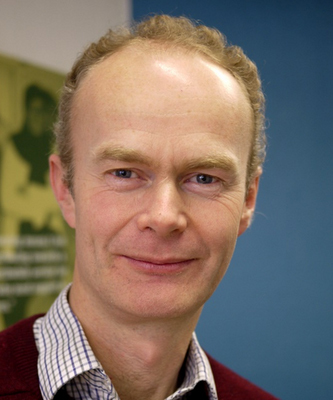 Richard Corbett is Oxfam's Humanitarian Lead. He maintains oversight of Oxfam's response to emergencies around the world. 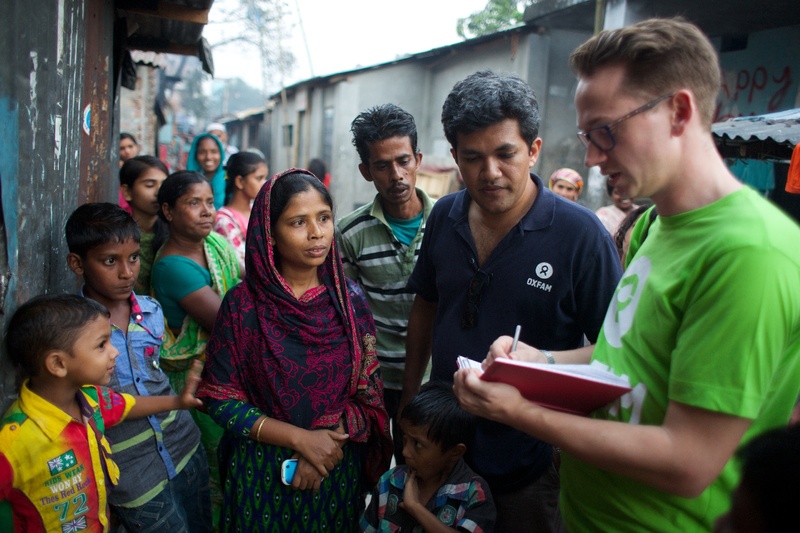 Richard has led responses in Afghanistan, Sierra Leone, Sudan and DRC before moving to a head office role at Oxfam. He has also been Chief Executive of Healthwatch Bucks and Reading Voluntary Action. 코리 시슨즈(Corrie Sissons)는 영국 런던대학교 SOAS에서 개발학 및 아랍어 석사를 했다. 2012년부터 2014년까지 Tearfund의 콩고민주공화국(DRC)지부에서 식량안보프로그램 및 보조금&정보 매니저로 일했으며, 2014년, Catholic Relief Service의 부르키나파소(Burkina Faso)지부에서 국제개발연구원으로 근무했다. 2015년에는 Catholic Relief Service 말리(Mali)지부, 이라크(Iraq)지부, 기니(Guinea)에서 긴급구호팀장 및 에볼라 긴급구호팀장으로 근무하였으며, 2015년 말부터 옥스팜 긴급구호(식량 및 생계지원) 활동가로 근무 중이다. 영국 런던대 Goldsmiths College 개발인류학 석사를 했으며, 방글라데시 사무소 부소장으로 근무했다. 봉사기획팀과 농어촌개발팀을 거쳐 기획예산팀 행정법무파트장으로 근무했다. 서남아시아팀장, 시민사회협력팀장을 거쳐, 2017년부터 KOICA 혁신사업실장으로 근무하고 있다. 박원녕 대표는 조지아공과대학교(Georgia Institute of Technology)에서 항공우주공학을 공부하였으며 서울대학교에서 교환학생으로 수학하던 2015년, 네팔 대지진 피해 복구를 위한 드론 제작과 기술 교육 프로젝트를 진행하였다. 그리고 2016년 엔젤스윙을 창업했다. 엔젤스윙은 '혁신기술의 혜택을 모든 사람이 누릴 수 있도록 한다'는 미션 아래, 드론 데이터가 주는 가치를 누구나 저렴하고 적시성 있게 누릴 수 있도록 제품과 사업을 개발하고 있다.  드론 매핑으로 취득한 영상 이미지를 2D 정밀지도 / 3D 모델로 가공하고, 산업/공공 현장에서 활용도를 높일 수 있는 기능을 제공하는 플랫폼을 바탕으로, 개발도상국과 저개발국가의 드론 서비스 사업가와 협업하여 시장을 견인하고 고용을 창출할 수 있도록 돕고 있다. Angelswing provides a web-based platform which will turn drone captured images into actionable business/social insights. The spatial information acquired from a drone is precise, affordable, and frequently obtainable. With the high advantage of data collecting value chain, Angelsiwng's drone data platform has provided versatile value in construction, urban planning, and environment domain. 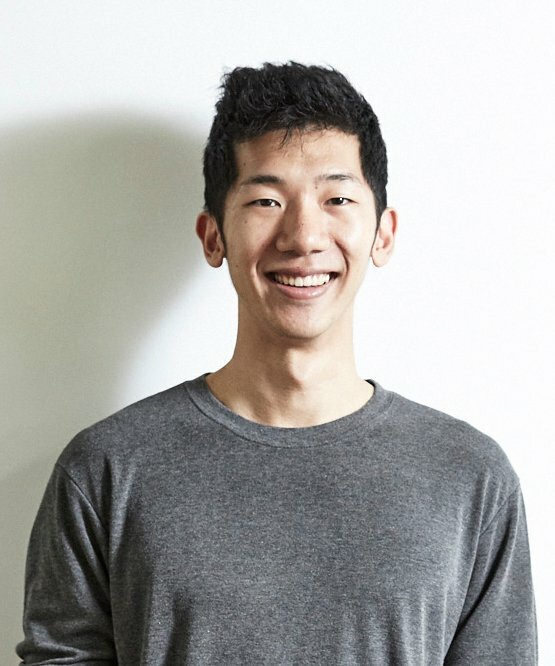 Peter Park started the Angleswing project in 2015 for Nepal earthquake recovery. After the subsequential experiences, he founded Angelsiwng as a company for sustaining its activities and impact. Previously, he studied Aerospace Engineering at Georgia Tech and trained himself to make something valuable. (現)경희대 공공대학원 원장과 국제개발협력연구센터 센터장. 현재 한국국제협력단 정책자문위원, 한국정치학회 부회장, 외교부 정책자문위원과 국무총리실 국제개발협력위원회 민간위원, 서울시 국제전략협의회 위원, 국제개발협력민간협의회 정책홍보위원 등으로 활동하고 있다. 한국국제개발협력학회장을 역임하였다. 서울대 정치학과 졸업, 펜실베니아대학 정치학과 석사졸업과 박사과정을 수료, 경희대 정치학박사학위를 취득하였다. 현재 한국연구재단 SSK대형연구단 연구책임을 수행중이며, 주요 관심 연구주제는 국제개발 분야를 중심으로 ODA정책, 개발파트너십, 개발NGO 등이다. 주요 저서와 역서로는 『시민사회와 국제개발협력(2015)』(저서), 『구성주의 이론과 국제관계 연구 전략(2011)』(공역) 등이 있다. 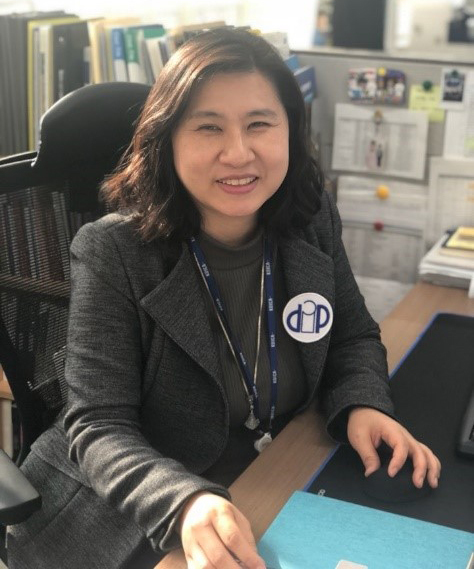 Dr. Sohn is Dean of Graduate School of Public Governance and Civic Engagement and director of Center for International Development Cooperation (CIDEC), Kyung Hee University. 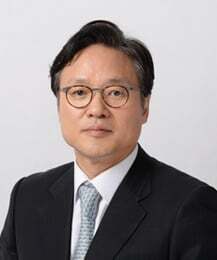 He had served as President of Korean Association of International Development & Cooperation (KAIDEC), editor for Korean Political Science Review and Vice President of Korean Political Science Association. Outside his academic engagements, he has a position of policy advisor of KOICA and ODA policy advisor to Ministry of Foreign Affairs. Since 2012, he had been a civilian member of Prime Minister Office’s Working Committee for International Development Cooperation. In 2016, he has been appointed as a member of the Committee for International Development Cooperation of Prime Minister Office. He has actively participated in the civil society advocacy activities as a member of Global Facilitating Group (GFG) of Open Forum for CSOs Development and member of the Operation Committee of Korean Civil Society Forum of International Development Forum (KoFID), and co-organizer of Busan Civil Society Forum held during the HLF4. * 모든 프로그램 동시통역 제공하며, 연사는 긴급구호 현장의 사정상 변경될 수 있음을 알려드립니다. *급변하는 긴급구호 현장 사정으로 인해 주제발표 1, 2의 연사가 변경되었음을 안내드립니다. 본 포럼에서는 인도주의적인 사업이 펼쳐지는 현장에서 재난 및 분쟁 상황의 발생위험을 사전에 감지하여 이를 예방하고 긴급 구호활동을 전개하는 것과 관련된 인도주의적 혁신사업의 다양한 발전 방향을 모색하고자 합니다. 지역사회에서 발생가능한 긴급 구호 상황에 적용되는 INGO의 재난위험감소 프로그램과 현지 상황에 특화된 적정기술 사례, ODA(공적개발원조)에서의 혁신사례 소개를 통해 정부, 시민사회, 기업 간 협력 방안에 대한 논의를 수행할 예정입니다. 이 과정에서 옥스팜(OXFAM), 정부차원의 국제원조기관(KOICA) 및 국내 개발협력 전문가들은 전 세계 개발협력의 혁신을 주제로 포괄적인 논의가 이어질 수 있도록 지원할 것이며, 이를 통해 지역 사회의 주도적인 참여 유도와 지속적 발전 방안을 모색할 것입니다. 옥스팜 포럼 사전 등록 신청이 마감되었습니다. 일부 좌석에 대해 현장 등록을 진행할 예정이오니, 포럼 당일 현장에서 신청해 주시기 바랍니다.